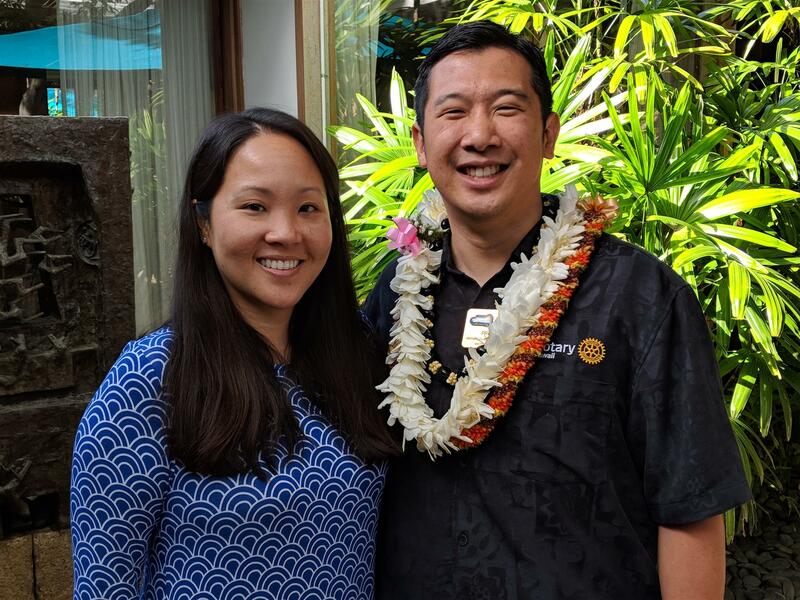 Honolulu - President Ryan Char was inducted at the July 9 meeting taking the torch from Past President Mary Benson. Congratulations to the new board and thank you to the 2017-18 board under Mary's leadership. 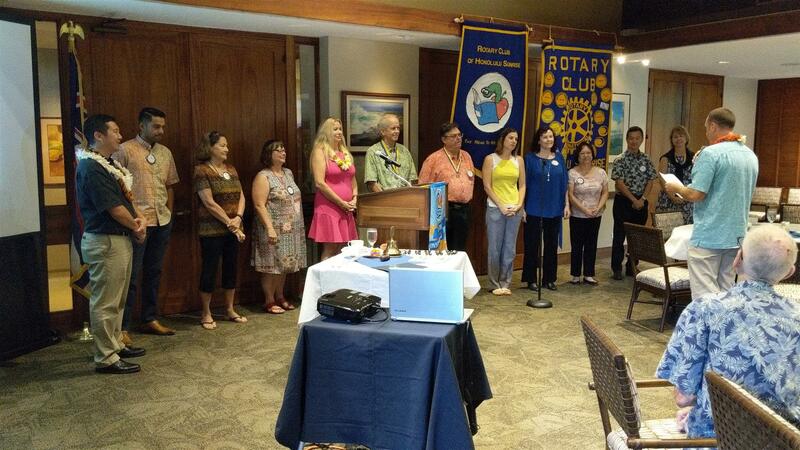 The 2018 new year is aiming to be a great year with the Rotary Club of Atago, Japan brining students from a School for the Blind to Hawaii this August for camping and exchange with our Honolulu Sunrisers as well as Ho'opono - the School for the Blind here in Hawaii. New developments include a new committee leadership for the Community Service Committee and our Youth Committee. The big challenge this year will be to spend the enough of the growing grant and matching grant money that is coming back to our club from Rotary International. Put on your creative thinking caps and look for bigger, scalable projects we can do for this coming year!